While rates continue to rise from historic lows, core bond duration remain near record highs. In this upcoming webcast, join J.P. Morgan Asset Management to discuss market views and tax-advantaged, lower duration strategies amid today’s rising rates. - Mutual funds are losing money to ETFs - will this trend continue in a Bear Market? - Fees, margins & competition: big players are driving down margins, are smaller players coping? - Is Smart Beta the active manager’s answer to passive management? Yasmin Dahya, Head of Americas Beta Specialists at J.P. Morgan Asset Management, provides insights on building portfolios in a fast-changing market. NYSE’s Douglas Yones reviews U.S. ETF flows and the dynamic regulatory environment in our quarterly ETF report, In The Know. Listen as Sam Azzarello, Global Market Strategist at J.P. Morgan ETFs, and Tom Lydon, Editor and Publisher of ETF Trends, discuss the current market environment and where we see opportunities for investors. It’s hard to keep up with fast-changing markets and rapidly evolving ETFs. That’s why we’ve worked with ETF Trends and the NYSE to bring you a new quarterly series called “In the Know.” Each quarter, you’ll gain access to industry experts discussing the latest developments and opportunities in the ETF space. The investment landscape is evolving rapidly. Part of this evolution is the explosive growth of a new investment vehicle - the exchange traded fund (ETF). 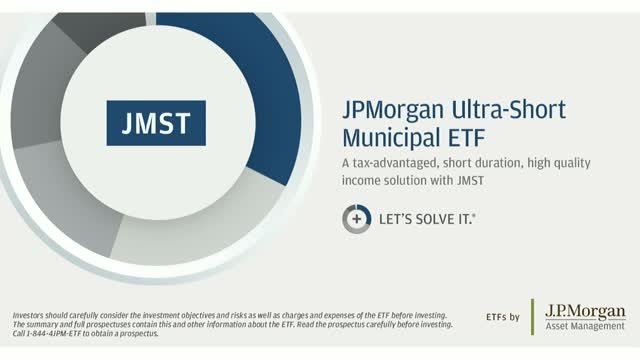 Join J.P. Morgan Asset Management as we share everything you need to know about ETFs, from markets, ETF flows and industry trends, to portfolios and investment implications.